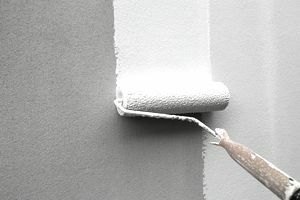 In 1992, The Residential Lead-Based Paint Hazard Act was passed. The purpose of this Act was to help protect individuals, particularly children, from the dangers of lead-based paint, dust, and soil. Section 1018 of this Act prompts the Department of Housing and Urban Development, in conjunction with the Environmental Protection Agency, to set forth specific requirements regarding lead based paint and lead based paint hazards in housing built before 1978. The requirements that HUD and the EPA have enacted apply specifically to the disclosure of lead paint for “transfer of residential property,” including the sale or lease, of housing built before 1978. A person looking to lease or buy a house is not contractually obligated to buy or lease the property until the landlord or seller fulfills certain requirements. Provide Lead Paint Pamphlet: Provide the tenant or buyer with the Environmental Protection Agency’s Pamphlet, “Protect Your Family From Lead in Your Home.” This Pamphlet goes into great detail providing information about where lead can be found, the risks of lead-based paint and how to protect your family from lead hazards. Disclose Knowledge of Lead Paint: Disclose the presence and location of any known lead based paint or lead based paint hazards. Provide Records of Lead Paint: Provide the tenant or buyer with any known property records or reports that relate to lead based paint or lead based paint hazards. Give Buyers 10 Days to Inspect: Sellers are required to allow the buyer a period of 10 days to conduct a lead paint inspection and risk assessment. The buyer is allowed to forfeit this right if they do not deem it necessary. Attach Lead Paint Warning to Contract: Provide the tenant or the buyer with a Lead Paint Disclosure Statement. This statement must be included as an attachment to the lease or contract. This disclosure must warn the tenant or buyer of the dangers of lead-based paint and must disclose any known lead paint hazards. This disclosure must be signed and dated by both sides to the agreement. Keep Records for 3 Years: The landlord must keep a record of this signed document for at least 3 years. No Need to Re-Inform Upon Renewal: The landlord is not required to provide a tenant with this same lead paint warning upon lease renewal. The notification upon the initial signing of the original lease document will serve as sufficient notice. The only exception is if the lessor has discovered additional information regarding lead paint or lead paint hazards on the property between the issuing of the original lease and the lease renewal. Pay a Fine for Violating the Rules: Failure to comply with these regulations can result in fines of up to $10,000 for each violation or the landlord or owner having to pay damages as a result of a lawsuit by a tenant or buyer. Housing constructed after January 1, 1978. Units such as studios or lofts that contain zero bedrooms. Rentals with a term of fewer than 100 days. Housing that has been deemed lead free by a state certified lead inspector. Elderly housing (62 or older) where no child under six years old resides. Disabled housing where no child under six years old resides. Here is a sample lead disclosure warning between landlord and tenant. It will serve as a rider to the lease agreement. Here is a sample lead paint disclosure between buyer and seller. Sellers are required to include the text exactly as written in the lead warning statement section.